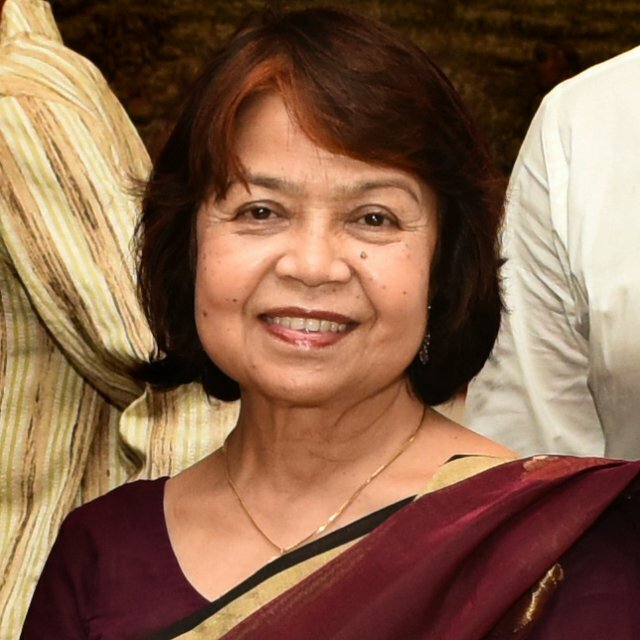 Professor Rounaq Jahan taught political science at Dhaka University, Harvard University and Columbia University; headed women’s programs at UNAPDC, Malaysia and the ILO, Geneva and is currently a Distinguished Fellow of CPD in Bangladesh. She obtained her Ph.D. from Harvard and was a research associate at Chicago and Boston universities and Chr. Michelsen Institute, Norway. She is the author of several internationally acclaimed books which include: Pakistan: Failure in National Integration, New York: Columbia; Women and Development: Perspectives from South and South East Asia (co-editor), Dhaka, BILIA; Bangladesh Politics: Problems and Issues, Dhaka, UPL; The Elusive Agenda: Mainstreaming Women in Development, London, Zed; Bangladesh: Promise and Performance (editor), London, Zed, and Political Parties in Bangladesh: Challenges of Democratization, Dhaka, Prothoma. Professor Jahan was the founder-president of Women for Women, served on the board of the Population Council, is at present on the board of Human Rights Watch: Asia and is a recipient of the Radcliffe Institute Graduate Society award of Harvard University.